If you want to start drinking mate, then you might as well get familiar with the different yerba mate blends out there. Although this might seem like a little bit of overkill for all of you mate pros, it is definitely an important piece of information for the newbies. Most mate brands on the market today are imported directly from South America and come in their original package labeled in Spanish or Portuguese language. Read on to find out what the terms on the labels mean and what to expect from each type of blend. Basically what this means is that the blend retains it’s original stems and leaf fragments. This is the blend mostly widely produced and consumed in Argentina. It tends to be a bit milder than the others, making it a great option for beginners. It also makes it easy for the drinker to notice when its time to refill their mate, since the little stick and leaf fragments begin to float on the water once they have been completely washed. Some also say that this blend is more nutritious, since the stems retain their minerals from the soil. Just like “Palo” means “stem”, “despalada” means “without stem”. This is the blend mostly produced in Brazil and Uruguay. It contains absolutely no stems; just the leaves which are shredded smaller and thinner than in the blend above. This blend tends to be much stronger and bitter, so it is really just recommended for experienced materos or newbies who are really into the bitter taste. A good aspect of this blend is that it holds it’s taste for a longer period of refills, making it ideal for mate circles. 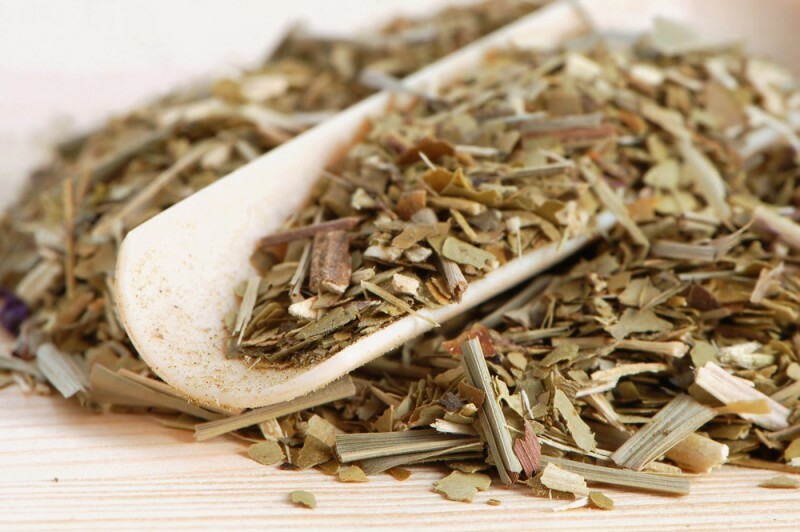 This is a compound or mixed blend and differs from the others in the fact that it contains other types of herbs. This is usually the perfect blend for people who cannot take the bitterness of mate, but want to enjoy its benefits anyway. Popular mixed elements include mint, dried fruit, lemon, etc. Now that you have learned about the different types of mate blends and their names in Spanish, we hope that you will be able to make a more educated decision when picking your mate from online shops. We wish all of you a great start in the world of mate and happy drinking!